Bruce Jenner is "happier" living in his Malibu beach house, rather than with his wife Kris and their daughters Kendall and Kylie. 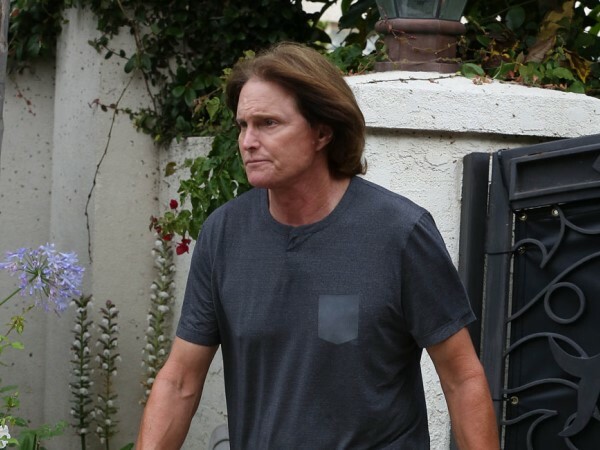 Bruce Jenner is "happier" not living with his wife Kris. The couple split in October last year with Bruce staying in Malibu, California, while Kris lives at the family home in Calabasas, and on last night's episode of reality show Keeping up with the Kardashians viewers saw the tense meeting where he told her he wasn't coming back. Bruce told Kris, "We both have to admit that the energy between us seems to be better when we are apart right now. "We have been together for 23 years and it seems to be now that we are doing better being apart and seeing each other here and there. "I have already called the real estate agent and extended the lease." Surprised, Kris (58) told him, "Don't you think we should have talked about that?" Bruce responded, "I just did it, I just can't see myself going back to be honest with you. "We both seem to be doing better with our space. I am not looking to get divorced or anything but having our space is kinda nice. "Why should we feel pressure from the media and public opinion to define our marriage?" Kris - who has daughters Kendall (18) and Kylie (16) with Bruce - became teary, but agreed with her husband. She said, "We have to define our marriage the way we want it to be. I have thought about this for a long time and wondered where this is all going and I think we both just need to be happy, I really do. Isn't that the bottom line? Life is so short." Kendall - half-sister to Kris' daughters Kim, Khloe and Kourtney from her marriage to Robert Kardashian - wasn't happy with the decision. She said, "I don't want to live like I have divorced parents. Why do you care about being alone out here so much when your wife and kids, who are still growing up, are in another house?" However, Kylie was more understanding, telling Bruce, "If you are happier for yourself here then you should be here."